“You can learn a lot about life…” announces the familiar deep voice of Al Trautwig on the NBC broadcast of the Ironman, “…on the Big Island of Hawaii.” I look forward to that broadcast every year – it’s so beautifully produced that you could swear that the course is lined with dramatic music and athletes moving in detail-rich slow motion. Having done the race several times, I can tell you it’s not like that, but it is challenging, and, like life, no matter how well you’ve planned things, no matter how fit you are, the race will throw you curve balls, and you will either overcome them or let them end your race. 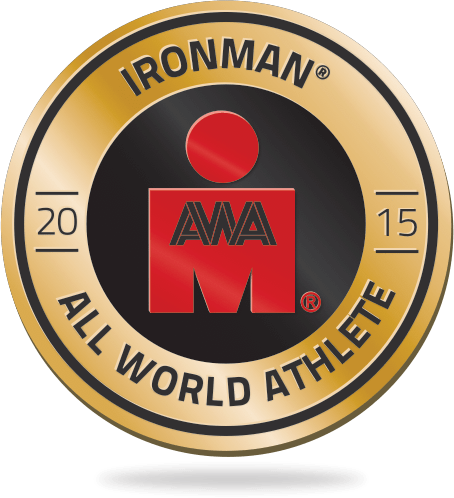 I’ve learned a lot of life lessons in the 14 Ironman races I’ve done, and a lot of them translate well to the business world. I was reminded of this by the recent breakthrough performance of my friend and coachee Jess Smith, a professional triathlete I have the pleasure (and sometimes pain) to train with and also help coach. Jess came into the professional ranks relatively late in life, and unlike most professionals didn’t have an extensive background in short course before moving up to the Ironman distance. After becoming amateur World Champion at the 70.3 (half Ironman) distance and top amateur at the very tough Ironman St. George race in 2011, Jess turned pro and had a good first pro race that year at Ironman Arizona, finishing 12th in 9:34, a personal best by a significant margin. After that, though, things started going downhill. Disappointing races, illness and DNFs followed, which were mysteries to those of us who had trained many miles with her and knew how talented she is. Long story short, my two partners Tim and Mike and I formed a new coaching Hydra to see if we could help Jess revive her career and, more important, her joy in being a triathlete. Project Jess was on! It Takes a Great Team. Tim, Mike and I complement one another. Tim is the experienced former pro, the guy who’s been there and done that, who has been able to maintain a high level for a very long time – while having fun and adventures doing it. Mike is the organized one, the extrovert, the one who keeps us to a schedule and maintains consistent dialog with Jess. I am the analytical one, the numbers guy who has stuff like power meters and heart-rate monitors and knows how to use them, making the most of my meager talent. And of course there’s Jess herself, the biggest part of the team. We can design all the programs and analyze all the data we want, but Jess has to execute the training. And she has to give us feedback when things aren’t working, which is often hard to do. You Plan, Then Stuff Happens. Adapt. We sometimes stressed Jess enough that she couldn’t complete the planned sessions. We looked on that not as failure, but as a data point that we could learn from. Being a professional triathlete requires a level of volume and intensity that can bring the athlete right to the breaking point – fatigue is a signal that you’re right there, and so you need to make adaptations in the training plan. The same holds true in the business world: not every tactic or strategy you put down in a plan is going to be successful. You need to be willing and able to adapt. Monitor and Communicate Regularly. We had meetings either every week or two weeks depending on schedules to discuss how the training had gone, outline the next few weeks’ objectives, go over metrics (hours per week, power numbers on the bike for different durations, pacing on the run), effects of dietary changes and also the mental aspects – confidence and will to win, to name a couple. But the key was regular, consistent measurement of both objective and subjective data – it was the only way other than hope to know that we were on the right track. Mix Things Up. Triathlon seems simple: swim, bike and run. But if you do the same things all the time, you get stale and the body ceases to improve. So we changed up the program in little ways every few weeks, giving Jess different challenges within her already considerable weekly training volume. One example of this was a cycling challenge in which she had to do increasing amounts of out-of-the-saddle climbing on every ride – I remember doing one of these with her where we were up to 90 minutes of standing for the ride. That hurt! But it was also fun and different, and it served a strength-building purpose. Keep Your Eyes on the Prize. Not everything went smoothly – Jess had two disappointing (compared to her expectations) races at the half Ironman distance. But because we had lots of data and experience, we knew (a) that we hadn’t specifically trained her for the higher-intensity shorter race distance, and (b) hadn’t rested her for those races. And we had specific positive things we were looking to get out of those races that we did get, plus we got important power and heart rate data from a race situation that we could not have replicated in normal training. 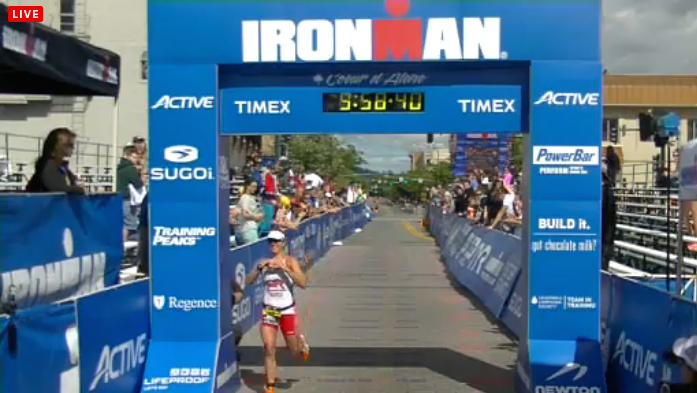 Anyway, the goal was a solid result in Ironman Coeur d’Alene, which is exactly what we got. The lesson is that when you have a strategy you believe in, you stick to that strategy, even if some interim steps along the way make the outside world question whether things are working. In the end, we got the biggest prize we could have hoped for: the return of Jess’ confidence in herself and her joy in training and competing. As in the business world, success breeds success, so watch this space – there’s more to come. ← Previous Post Honu 70.3 – Happy Birthday to Me!